Finance Minister Jim Flaherty met Monday in Toronto with the Canadian Association of Accredited Mortgage Professionals (CAAMP). The Minister meets annually with stakeholders such as CAAMP and, as can be expected, housing and the mortgage market topped the agenda. As reported, the Minister continued to express his comfort with the current pace of housing and the insured mortgage market. Mr. Flaherty made clear to CAAMP the vital role of housing in creating jobs, especially in a province like Ontario where manufacturing and provincial exports have been sliding. The Minister also expressed appreciation of the important role brokers play in creating a competitive mortgage market. 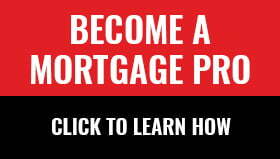 CAAMP officials expressed the vital function of government-guaranteed mortgage backed securities (MBS). Expect more discussion on this and further policy measures. Small to mid-sized lenders (directly or indirectly) rely on government-backed “market MBS” for mortgage funding. That contrasts somewhat with large banks, which often use it to ease their regulatory capital burdens. The government’s recently imposed MBS limit is currently a focal point in the industry. We’ve seen what happens when funding dries up for monoline lenders. It happened in Australia where four big banks now control more than 4 out of 5 mortgages—affecting product choice and pricing. Insomuch as it adds no material risk to taxpayers, Ottawa must foster a level playing field for prudently run small lenders. …the fall housing market might not maintain such a vigorous pace. There is not a large rebound in housing sales lately. They are double and triple counting the same addresses. Sales are down — follow the blogs. Garth/Ross Kay, etc. An 11% sales increase on a national basis is not large? You’re hard to impress. Sorry but I don’t see anyone but crash theorists quoting Garth and Ross Kay on sales numbers. Those two have ulterior motives so big, they need a ten ton truck to carry them. CREA’s methodology isn’t perfect, but it’s the best national data there is. Follow Garth’s blog lol. Are you kidding me? You do realize that that’s for entertainment purposes only. Don’t you? Their “days on market” is bogus as well. I’ve been watching a house that has had 3 price declines over 100 days and now it’s been dropped again and days on market reads 10. What a pile of poop. And then “percentage sold for full price” is junk because the house has been relisted and does not reflect the house prices. Big thumbs down to CREA stats. Buyer beware. When the data support your cause, shout it from the rooftops. When it doesn’t, denounce it as bunk. Like you say, re-lists make DOM statistics almost fiction. CREA’s sales numbers aren’t so bad however because they are tabulated on firm sales data. Flaherty’s just telling you what you want to hear. What’s his motive or benefit to be forthright with CAAMP? Brace yourselves for the next regulatory change. What is CAAMP’s motive for being truthful with the Canadian people? Remember that these were the same people who claimed last summer that there would be a loss of 190,000 jobs due to the rules that were instated last year. That hasn’t happened. Flaherty makes no more or less money whatever he does. For all those brokers at CAAMP, it’s a different story. And whoever believes that people are double and triple counting the same address are obviously smoking some pretty good stuff. To be fair I think CAAMP projected those job losses by 2015. As for “Flaherty makes no more or less money whatever he does,” political decisions always pay in one way or another, even if only indirectly. LOL @ believing a politician. Down payment will be 10% on insured mortgages. The cons need to deflate the bubble before 2015 if they have any hope of re-election. There is a large rebound when comparing to last years record breaking low volume of sales. When comparing mid September of 2011 you’ll see they are almost exactly the same, its a return to normal. You better hope that the return to normal wasn’t a result of people wanting to lock into lower mortage rates. If that’s the case, expect the downward trent to continue in the near future. Flaherty doesn’t want normal home sales. He wants below normal. Why do you think he’s making all these rules and risking a selloff? Toronto sales were the best in 4 years. It would be nice to have an analysis done on RossKay.com figures. Like, for instance, the speculation that a potentially large component of sales recorded are actually the same property (but multiple MLS #s). Or, some addressment of the speculation that private sales listings are now included in CREA numbers, and are therefore causing inaccurate year over year comparisons. In the US, it was found that real estate agencies grossly misstated sales figures during the crisis. So why not have checks and balances on our numbers? Did someone say “Garth”? If this is the Garth that I know, forget it! The ex-MP from Ontario? He is one of many “fools” who thinks he knows about the B.C. real estate market. Garth has been crying wolf so many times, that sooner or later, he could get it right. I will not follow his blog either. Give us Westerners a break and keep your comments to your own back yard, please! So we’re just a little away from a year from that deadline and so far, no huge job losses in construction have been reported. I’m not denying there have been some, but nowhere close to these numbers. Now that there actually IS a rebound happening, I just don’t see the loss of jobs that CAAMP was talking about. I am being fair. I’m asking CAAMP for proof to back up what they said. So far, there is none and with the way the housing market is headed, there won’t be by 2015 either. The worse part about the new mortgage rules is treating people who put 50% down the same as those buying with 10% down. This is counter productive to the intentions of these rules. 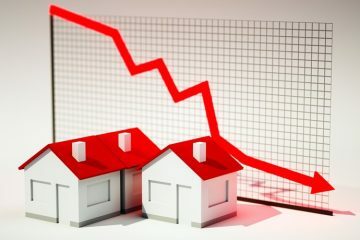 Because those with a 50% down payment will buy the house of their dreams, whether they qualify for a mortgage or not, but because of these rules, they will wind up paying 8% on a mortgage from a private lender, which has the effect of accelerating the decline of their cash flow, which will force them to sell because they ultimately can’t afford the house. The result is that our government is basically saying that if you want to buy a million dollar home, and have $500,000 to put down, you’d better make sure your income qualifies you for the mortgage. In other words, our awesome government has now empowered themselves to dictate to us all what price range we are allowed to purchase in. Just call him Papa Flaherty. If he has appointed himself guru to look over every Canadian’s shoulder when they go house shopping, imagine how tough he must be on his own kids. I feel for them.